Tech-Wonders.com » Jobs » Top 5 Reasons Why You Should Earn Agile Certifications! Have you ever come across a scenario where you were baking a fancy cake, but forgot to add sugar in the process, when the initial requirement was that the cake is sweet? Well, that is the legendary waterfall model that businesses have been struggling with when Software development lifecycle was concerned. The clients were the ones who faced the heat in the worst possible way. This paved the way for agile methodologies such as Scrum and Kanban, which made life simpler and more cost effective to be specific. Professionals now prefer pursuing Scrum certification online to give a boost to their Agile Career. Agile cuts down the efforts that you would have otherwise spent developing a huge chunk of work. For example, a scenario which dominated the banking arena, the client wanted to launch a product. It was outsourced to an SDLC company who recruited 10000 resources to get the job done at the expense of 100 million dollars. However, that project was scrapped as a non-refundable dummy. Imagine the losses concerning jobs, resourcing and money. You do not want that. That is where agile comes in to save the day. Agile is singularly one of the most effective processes in the market these days. You pick out backlogs, refine them and get on with the work on a priority basis which is allocated to you by the product owner. You do what you are assigned and work as a team which is flexible as a model. Agile focuses on transforming project management and workforce deliverables. It is a process where you find new and different methods to respond quickly. Isn’t that what a project or organization wants at the end of the day? How can Agile Certifications Benefit the Career of IT Professionals? The importance of certifications cannot be stressed enough. It adds credibility to your portfolio at the end of the day, and it is a living proof that you are indeed a scrum master or a product owner or other such roles which make more sense and add value to an organization and your portfolio. But how does it help you as an individual or your team as a whole? Well, there are several things that you might want to explore in that particular space and area. It allows embracing change more efficiently: Most of us are reluctant when changes are concerned. Agile helps you break out of the already present mold. You are constantly refining backlogs, re-prioritizing the effects, so on and so forth. This way you are always on your toes, and it gives you a vision which is common across to work with. Engagement at all levels: Be it the retrospective meetings, sprint planning, refinements, or any other ceremony, you have every stakeholder involved in the entire process for all reasons. You get multiple opportunities to showcase your abilities, embrace your fears and come out and about such that you are a better team player. Be user-focused: Be it a start-up or a well-established organization, it just makes more sense to be customer focused and customer centric nonetheless. It is one of the best possible ways to understand what your end users want. It gives you a bigger picture at the end of the day to finally understand what they are looking forward to and how they want it. This is a productive way to bring about those modifications such that the business is highly profitable. Adding value to the business: A long-term project that is delivered late or just a small chunk of retrofit that market can access quickly- the choice is never difficult. Agile in a way helps you cut down on the bay to market time. You might work on a chunk for a long time but all in vain. Instead, a scenario where you develop a beta version and roll it out to analyze the response. When you deliver such quality products in a shorter time, it adds more value to the business and makes you more credible in the long run. Plus you earn business entity points, which are incredible. Better quality and transparency: Agile exposes you as a team member. Because you have several roles, it just exposes you and the work that you are doing every day. You are involved in planning, refinement and many other processes. However, when you start delivering, it is always an individual contribution. You always need to break down the logs into tiny chunks such that you roll out and clean that backlog as soon as possible. This needs collaboration and quick actions which allow you to dig deeper into the situations and understand it better and roll out a better product in a short time. 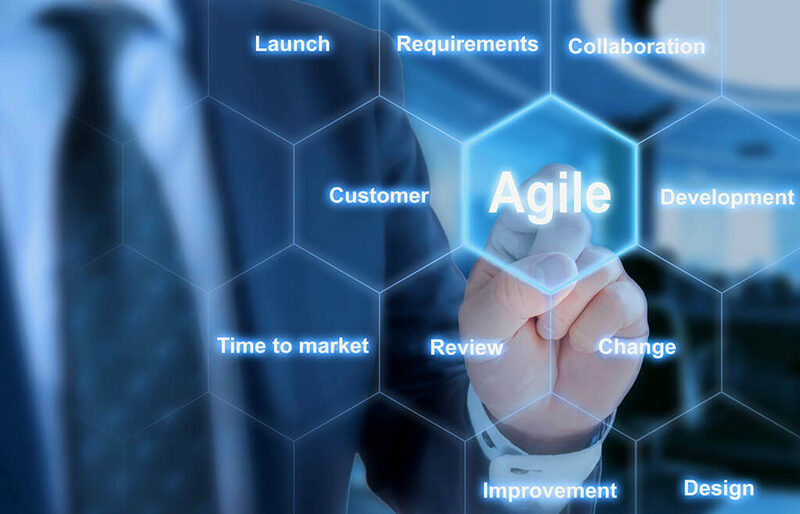 Agile Scrum Masters, Agile Product Owners, PMI-ACP Project Management Institute Agile Certified Practitioner, so on and so forth are one of the sought after profiles in the current business. It is not limited to the information technology sector but extends to multiple industries where they want a shorter market time for effective and useful products. The take-home salary for scrum masters and product owner can range from a whopping $105,000 to $130,000 on a global scale. Several organizations look forward to hiring agile certified professionals. Fortune 500 companies to the Big4, you have everyone looking forward to making you their rock star employee. All you need to do is that particular certification and act according to the value role. Organizations such as Dell, HP, ANZ, Capgemini, UrbanPro, KPMG, Accenture, Digital Harbour and so many more have several job listings on a day to day basis. Certification is your one-stop validation to ensure that you have achieved what you portray. Organizations such as Simplilearn, Udemy, and other private organizations offer classroom training, online classes and certification programs such that you can add more value to your resume. Be it classroom training or an offline program; it is one of the valuable certifications that you should be adding to your resume at the end of the year. Pick out an effective module or a course which can help you further your career as a scrum master or a product owner. You never know, this might end up getting you a portfolio that you’re always dreamt off!